Midweek Meal – Join us each Wednesday night before Youth Group for a Midweek Meal served from 5:30-6:30 PM. Everyone is welcome; suggested donation of $2.00 per person to cover expenses. Sunday School – Classes for youth in Grades 6-12 meet on Sunday mornings from 10:50-11:50 in various downstairs classrooms. Junior High Youth Group – for Grades 6-8 meets at 6:30 PM on Wednesdays in the downstairs Jr. High Youth Room (#102). Jr. High Youth Group is a casual time to focus on building relationships, having fun, and discussing various topics. 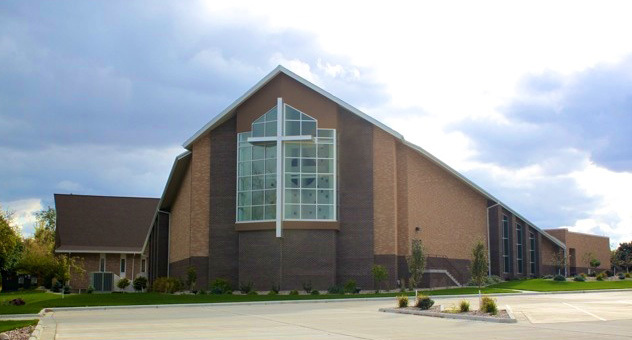 The group also participates in the Middle School Retreat (Spring) and Power Connection (Summer) that is hosted by the Synod of the Heartland. Senior High Youth Group – for Grades 9-12 meets at 6:30 PM each Wednesday in the downstairs Sr. High Youth Room (#101). Sr. High Youth Group is a casual time to focus on building relationships, having fun, and discussing various topics. The group participates in annual mission trips, various fundraisers, and attends Rocky Mountain High, a teen conference in Colorado every third year. Girl’s Night / Guy’s Night – for Grades 9-12 meets the second Sunday of each month at 7 PM. Each month will include a time of fun and fellowship and a time to dig into the word and intentionally work on growing into the young man or woman God is calling you to be.